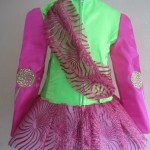 The dress is made out of pink glitter tulle with white net under it to make a tutu skirt. 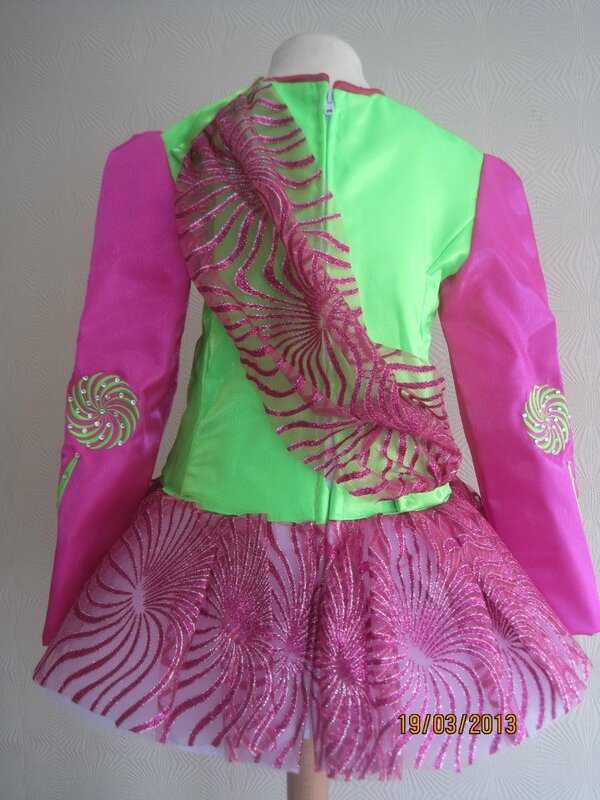 The bodice is made out of pink and lime green twinkle satin. The dress comes with matching bloomers. Asking Price: £500 obo. Shipping costs are not included in the asking price. Will accept returns and refund the cost of the dress, buyer to pay all shipping costs.